Since I already had the lights strung up and everything from our photo shoot with the cousins, I asked my friend Claire if she wanted to bring over her kids for a Christmas photo. All FOUR of them! I figured I'd get some cute pictures of them as a thank you for her guest blog post. Cute is an understatement! Seriously, these kids are adorable. My boyfriend Gus was perfection, as usual. George was a doll. Of course we got major diva attitude from Miss CeCe. And Charlie had an absolute freaking meltdown and scream/cried through the entire session. 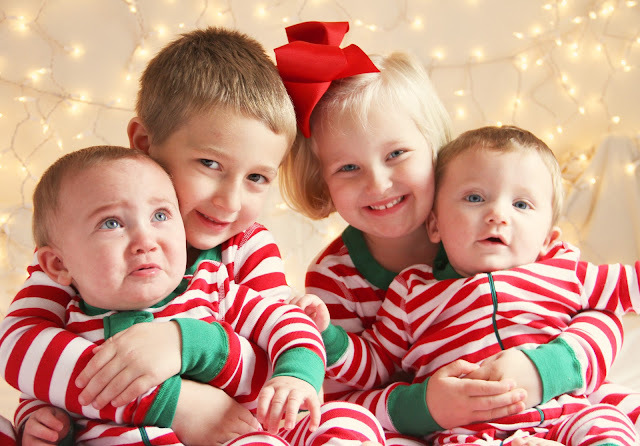 Trying to get all four of them to look at the camera and smile was nearly impossible. I took about 500 pictures in a matter of minutes and just prayed that a couple would turn out. But just like the Mac/Alex photos, the bad ones are the BEST ones. Those are the ones where the kids' personalities shine through. I was laughing so hard during this session that I nearly peed my pants. Man, I love these kids. You've got to check these out! Aw, there are some really adorable ones in there! I'm sure these photos will be treasured always! 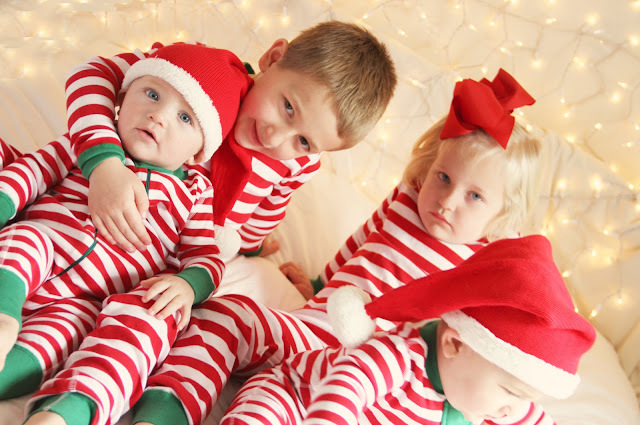 Love the one where the sister is just staring at her brother laying back on her-hilarious! This is amazing. Amazing, I say!! And is 'CeCe' short for Cecelia??? I haven't 'met' another one before! These are priceless and insanely cute!